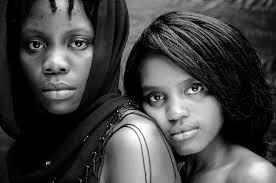 Difficult Love gives a deep look into the head of internationally celebrated South African lesbian photographer, Zanele Muholi, and her thoughts on the challenges that black lesbians face in South Africa. Interviews with Muholi, her friends and her colleagues provide an overview of the artist’s life and work. What struggles she and her fellow black lesbians have to suffer through and what led her to create art that speaks of their ordeals.